﻿There are many different farming tools and methods, but fundamentally, there are only two ways to farm – with Mother Nature or against her. Unfortunately, conventional agriculture has sided with the latter. Only in recent years has the idea of working alongside Mother Nature picked up momentum. One operation that’s been ahead of the curve is Jorgensen Land and Cattle. Located in Ideal, South Dakota, the Jorgensens have been implementing soil health principles since before the term “soil health” really began to circulate. They steered away from using a wheat-summer fallow rotation in the mid-1970’s and were 100% no-till by 1991. But as the Jorgensens will tell you, soil health isn’t just great for growing crops, it’s also great for the farmer himself. The individual methods of soil health vary depending on location, but there are underlying principles that are universal. The Jorgensens aren’t much for following a script, but they’ve found their own way into these principles on their own. All of this adds up to resilient soils that require less work as well as less inputs. In fact, the Jorgensens stopped applying the recommended amount of phosphate in 1995 and only use a small amount of available P at seeding time. The result? The best way to destroy an enemy is to make them a friend. It’s been well over a century since Abraham Lincoln passed down this wisdom. It’s about time we took his advice. 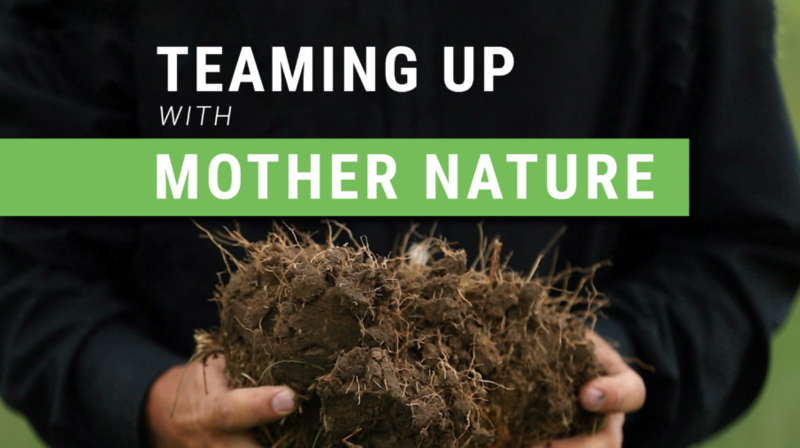 Team up with Mother Nature! For more on the Jorgensens, check out our 5-part Youtube series on soil health and economics!